Health 7 Interesting Facts You NEED to Know About Your Blood Type! When’s the last time you thought about your blood type? It’s not exactly the sort of thing that pops into your head as soon as you roll out of bed. At least not until you realize just how much of an impact your blood type actually has. Here are 7 surprising facts that’ll definitely leave you with a new appreciation for the blood running through your veins. As confirmed by naturopath Peter J. D’Adamo, various blood types result in varying nutritional needs. This as actually been known for quite some time in Asian medicine. Studies have shown that women with Type O blood tend to be the least fertile. Type A blood causes the body to react badly to specific foods like dairy, meat and shellfish. That reaction makes it difficult to lose belly fat. It also causes acid reflux, an increase in diabetes risk, bloating and indigestion. But problems arise when an Rh negative woman mates with an Rh positive man. This exposes the baby to potential risks. Rarely is it fatal – but it can be. Also Read: People With Rh Negative Blood May Have THIS Interesting Ancestor! 7. Knowing your blood type can save your life. 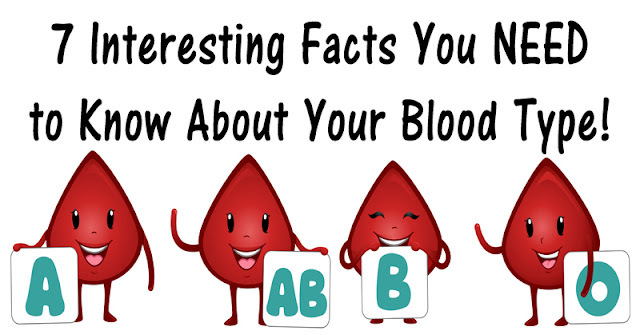 Knowing your blood type is important for a number of reasons. Say you’re traveling abroad and wind up in a car wreck.